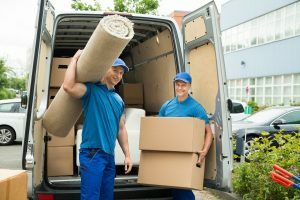 Don’t make a move in Sydney without Sydney Inner West Furniture Removalists. And Inner west furniture removals are very affordable—truly one of the best values in the moving business. Get a free estimate now! No job is too big, no household too small for Sydney Inner west removalists. We help individuals, families, and businesses from all over the Sydney area move their apartment, home, office, or entire company—down the block or across the state. From Hornsby to the Blue mountains to Sydney CBD and beyond, Inner West Removalists will make your move smooth and efficient. Before we start, we thoroughly explain our process, policies, and pricing. With Sydney inner west removalists, there are no unpleasant surprises and never any hidden charges. We know that many of the belongings you entrust to our care may be irreplaceable. They may hold sentimental value. They may be family heirlooms. Don’t worry—we treat them with the same care, respect, and attention to detail that you would expect from a professional team of removalists. We guarantee it! URBAN MOVES is a moving business that is able to provide quality transportation services throughout NSW, VICTORIA, ACT and QUEENSLAND for both residential moving and corporate relocation. Through innovation and experience, URBAN MOVES moving company delivers a level of quality service that consistently meets our customer’s needs and exceeds expectations. Our team of highly trained Sydney moving professionals work together to deliver solutions that meet your specific needs. URBAN MOVES offers full residential moving services from packing to loading to transportation and storage for your household goods. Office moving services are also available. For Sydney and long distance moving, URBAN MOVES offers programs such as guaranteed pick-up and delivery dates, economical pricing and great service. Whether you are moving one item or an entire household, URBAN MOVES has the expertise, along with the manpower and equipment, to handle all of your needs. And if you’re looking for reliable Sydney piano movers, look no further. We are specialists in moving unusual objects such as art pieces, antiques, as well as pianos. When it comes to moving your personal belongings, nothing is as important as a fully qualified, trained team. We provide you a personal and caring moving service. Whether your destination is across the country or just across town, URBAN MOVES can be counted on to take the stress out of moving. We offer competitive moving rates for any size move. Our Sydney relocation and moving specialists will explain all the phases of your move. They are available to provide you with a comprehensive and accurate moving estimate, at no cost or obligation to you. Our moving staff is professionally trained, with many years of experience. They are dedicated to providing each shipper with the best move possible. We provide the latest models of fully-equipped trucks which are specially designed to reduce the possibility of damage to your goods in transit. Used for single or a few items and internal moves. The Pan is 2.4 meters long and 1.8 meters wide. There is no cover on the ute. Clearance for the truck is 3.6 meters high. Pan is 4.7 meters long. Pan is 2.4 meters wide. Pan is 2.4 meters high (the inside of the truck). Holds approximately 27 cubic meters. Used for large apartments and houses or offices and items that are large or very heavy . Clearance for the truck is 3.7 meters high. Pan is 6.2 meters long. Holds approximately 33 cubic meters.